Black Spur Ultra is a race wrought from the winding, technical single track that trail runners dream about. No pavement, big climbs through rugged terrain, and stunning scenery. In its first year, many racers dubbed Black Spur an “instant classic”. 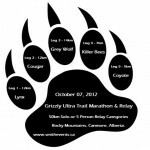 Hosted at Kimberley Alpine Resort, you can walk to the start line right from your hotel room. Distances are 54k and 108 km, with a relay component for the 108k.